Integrating psychotherapy and meditation, a potent and practical approach to working through life’s persistent challenges. Although you may never have thought you would need counseling, now might be the time. 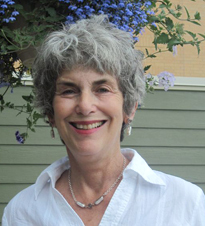 Nancy Feingold has expertise in dealing with the fall-out of our recent elections. With her assistance, you can swim in a sea of heavy, fast moving political currents and rip-tides. Mindfulness and compassionate action are tools to guide you in this process. Call her today to schedule an appointment at 608-469-3013. Nancy offers Retirement and Grief counseling. Nancy Feingold seemed to see right through me from the start, and handled my well-worn neuroses with a firm, capable grace. She has the rare ability to call you on your stuff while remaining on your side. I grew leaps and bounds under her care.